I have a huge family. I have five siblings and all have their own families now. When we were little, we were used to having celebration everyday at home. My mom cooks her specialties like hamonado, beef caldereta with liver spread, and lengua. 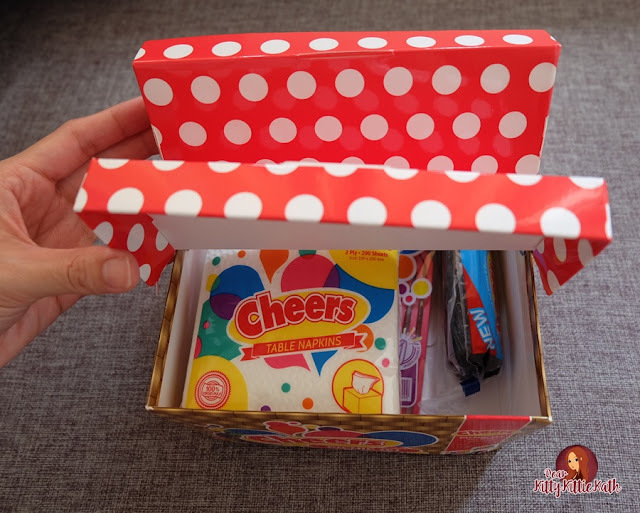 This simple celebrations at home made stronger connections with my siblings that's why we always make sure to continue the tradition together with our in-laws, nephews, and nieces. We all have busy schedules but we make sure to spend quality time with our family and bond over food. I want to ask one question, how do you make everyday special with your family and friends? Prolly, your answer is the same as mine- food and happy moments with them. Sharing with you simple tips and inspiration on how to make everyday special with "Cheers!" I presume you are wondering who or what is Cheers. If you're a frequent grocery shopper, I'm sure you've seen this in the shelves. 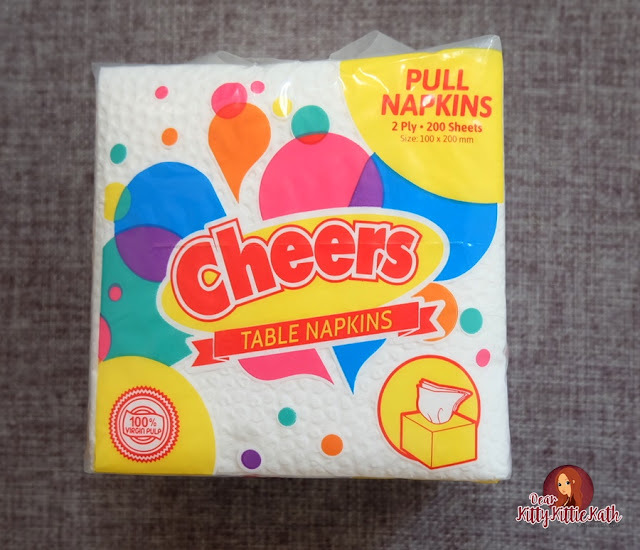 Cheers is brand of quality hygienic napkins in all configurations, kitchen and paper towels and other party or get-together needs such as starch-based cutleries and trash bags. 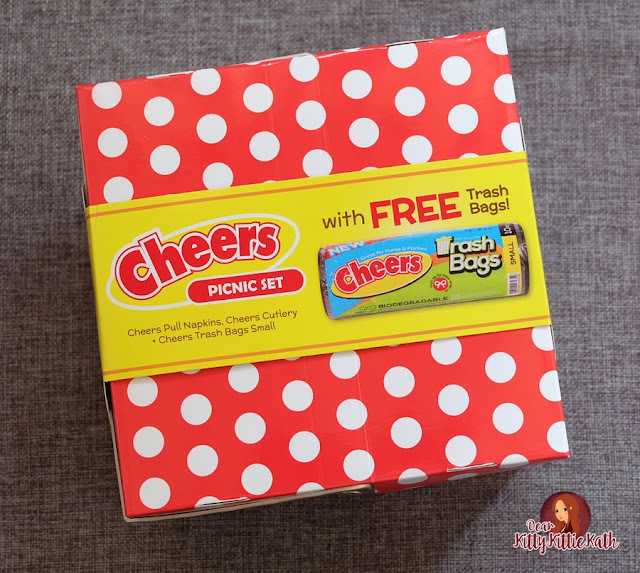 The brand aims to bring life to everyday celebrations that's why they've created this picnic set for the family to make simple family celebrations special. No need to go on a real picnic because even inside our homes, we can turn simple moment to something special with Cheers. Look at this picnic set, ah soo cute! 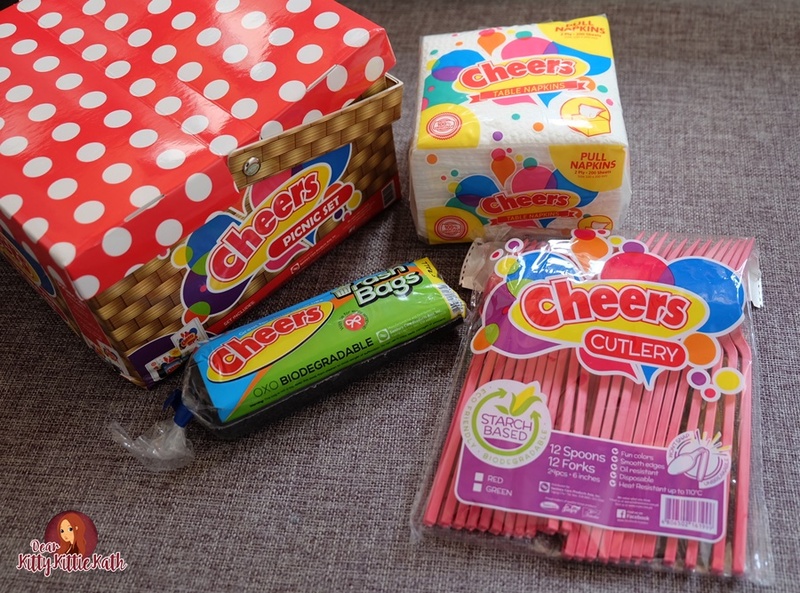 The Cheers Picnic Set has cutlery, pull naps, and garbage bags in a nice picnic basket-inspired box. This is being offered at P60 SRP and offers consumers savings as actual cost of the products is P77.75. Other stores are offering it at an even lower price at P50. You can avail this in SM, Puregold, Robsinsons and Metro supermarkets. What's the inside the dainty the box? Now that Cheers Picnic Set is already available in leading supermarkets, it's time to level up those bonding moments at home. 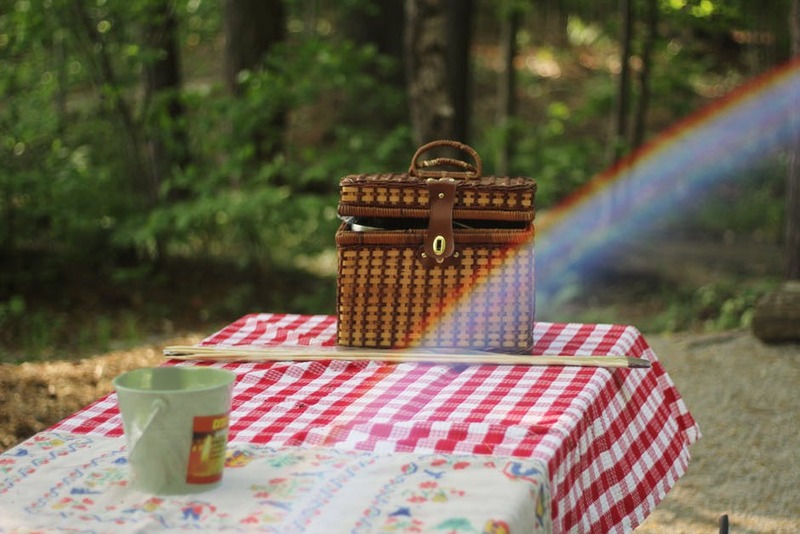 Scheduling a pic-nic once a month will make family's get together more exciting and one for the books! This has to be the same drill, the only difference is the venue like a park or in a club house. We had so many memorable picnic by the beach before and I cringe every time I hear my mom saying that she forgot the cutlery set or there's no garbage bag available. 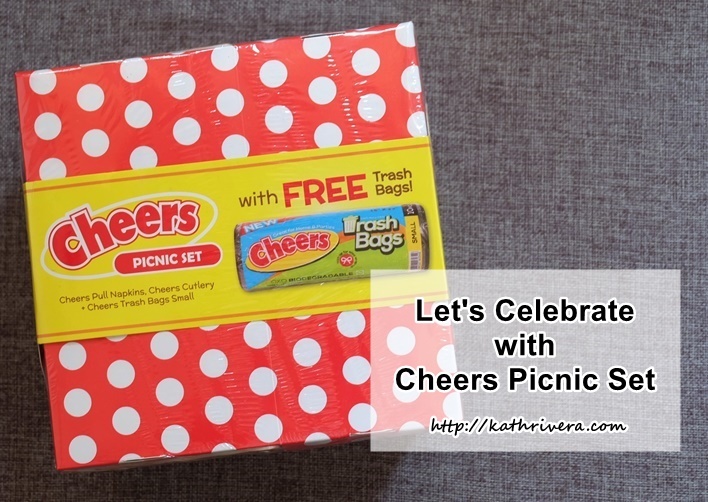 Good thing Cheers Picnic Set is now available. 1. Always pack light. 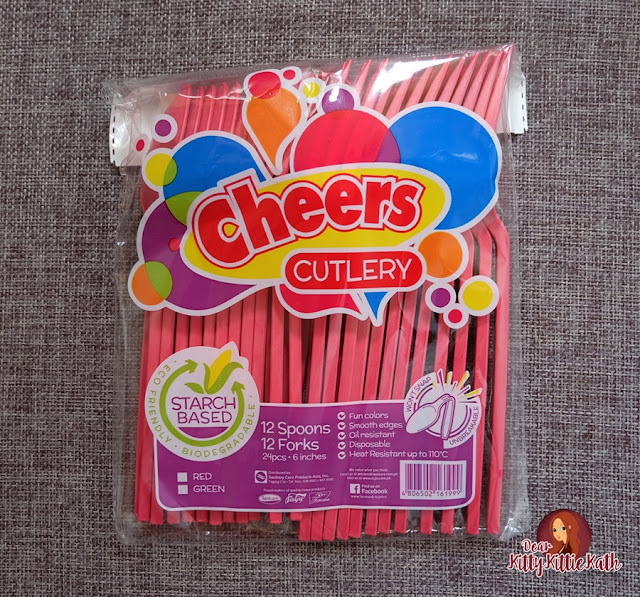 Use resealable containers. There are plenty of plastic containers in the market, you can pick those transparent or colored ones. 2. Bring lots of ice in your container. This will save you from spoiled food. 3. It's always convenient to bring bottled waters and healthy bottled juices for kids and adults. 4. If you have spare condiments from your fave fast food takeouts like ketchup, salt, and pepper, that would be a great substitute from heavy and breakable condiment bottles at home. 6. Food! What's a picnic without food, right? Prepare light meals like sandwiches but avoid the mayo and tomato. They spoil fast. 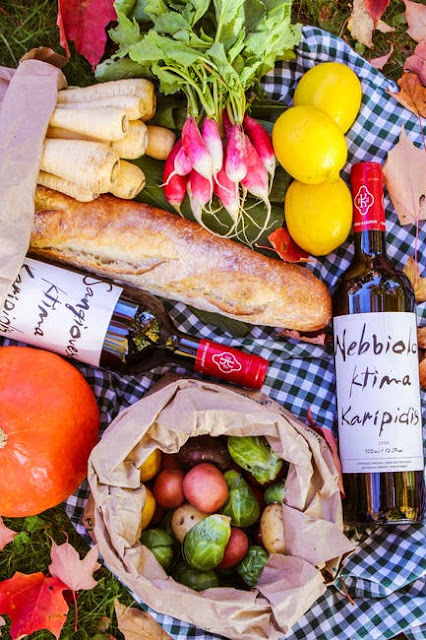 Bring fresh fruits and healthy chips, nuts, and other snacks that's easy to eat and digest. 7. Don't forget the camera! Need I say more? Yay! Cheers to a special bonding moment. 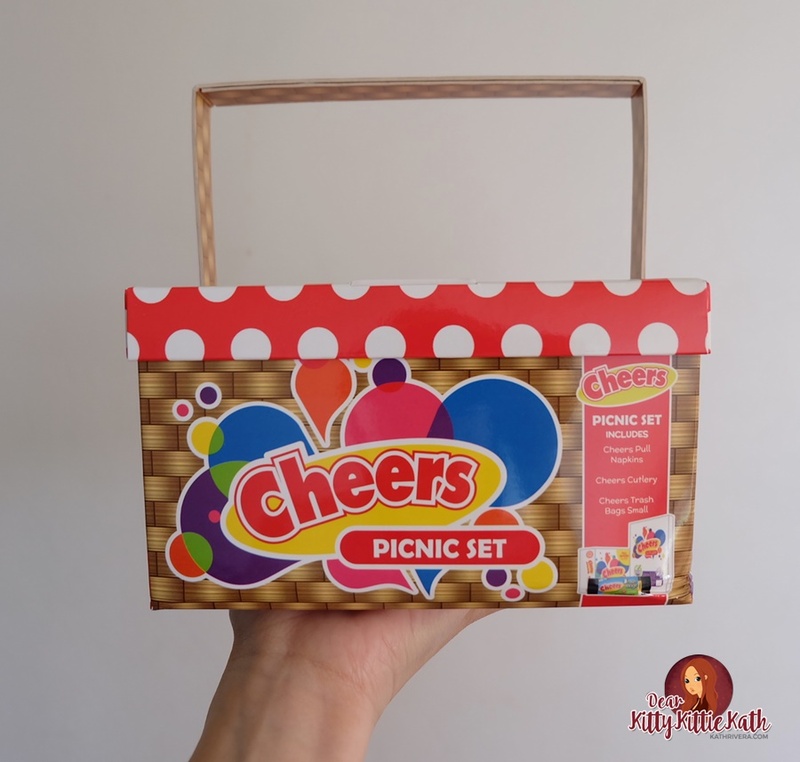 Your much-awaited family bonding, may it be at the park, at the beach, or just outside your house will be exciting, fun, and fuzz-free with Cheers Picnic Set. So where to next? Let me know and enjoy!! !